With cyber-attackers becoming much more sophisticated, security measures must get smarter too. The key is to implement security measures that continuously monitor and test the authenticity of users in ways that are difficult to replicate. Many experts and market leaders agree: behavioral biometric profiling is the only effective way to achieve this level of security. 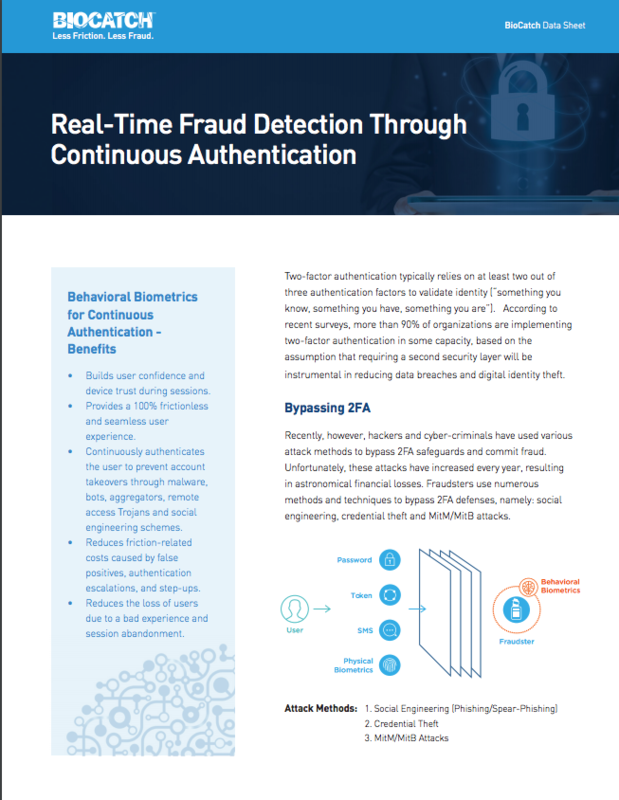 BioCatch behavioral biometrics provides a continuous authentication layer that works passively in the background to maintain the integrity of online sessions without any friction or disruption. In the event of anomalous behavior, real-time alerts and analyses are provided to support the customer’s authentication policy.